Now available on the App Store for iPad! The first-ever iPad App on North Korea that all reports made by North Koreans inside the DPRK. 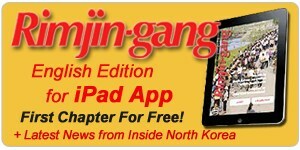 ASIAPRESS would like to announce the release for the "iPad edition" of the Rimjin-gang News from inside North Korea (the first English Edition). Rimjin-gang is unique in that it is based solely on the reports and analysis made by North Korean journalists themselves. It is the product of courageous journalists willing to risk their lives inside North Korea. All of the articles are based on evidence gathered from photos, film, and audio recordings. This journalism, featuring the true, unadulterated face of North Korea, differs completely from the superficial reporting by foreign government officials and media permitted only in special places like Pyongyang. 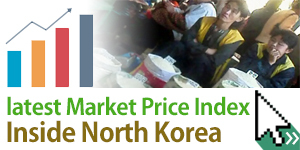 Our reports capture the North Korean people's reactions to crucial events, from the 2006 nuclear test to the 2009 currency reform. They include detailed descriptions of the informal market that has come to support the lives of the common people, as well as an analysis of its social significance. It should serve as an indispensable resource for North Korean analysts, researchers, and policy makers. The growth of our publication leads directly to the growth of North Korean journalism. Hardcover edition of Rimjin-gang, published in October/2010, is almost 500 pages long and contains over 200 exclusive photos. The iPad edition is completely same texts as the hardcover edition except for photos that are all in color. This is the first-ever iPad App on North Korea that all reports made by North Koreans inside the DPRK. The e-book composed of 4 chapters.The first chapter is provided for free. From second chapter, fee will be charged. 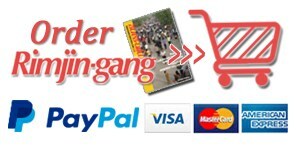 (15 U.S dollar/per chapter) Currently we provide the Rimjin-gang App only for iPad. It is not available for iPhone. We will launch the App for iPhone and Android in the future.